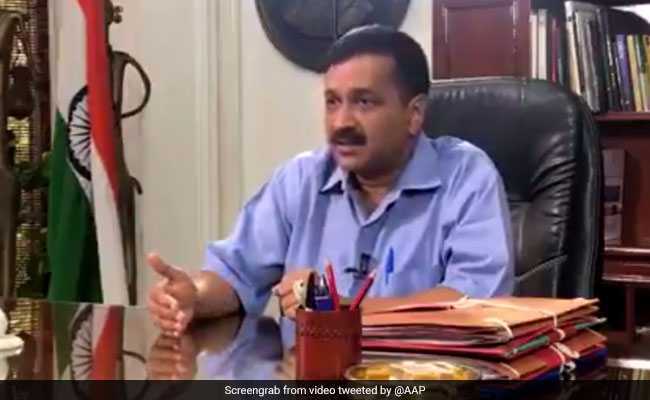 Mr Kejriwal tweeted that the Delhi government had approved the final instalment of the signature bridge and that there should "now be no more obstacles". After missing multiple deadlines due to inadequate funds, the iconic signature bridge is likely to open by October, Delhi Chief Minister Arvind Kejriwal said on Friday. The signature bridge project was approved in 1997 after an accident on the narrow Wazirabad bridge wherein a school bus fell into the Yamuna, killing 22 children. The completion of the bridge has been delayed by several years due to inadequate funds. Even the project cost has increased from Rs 1,100 crore to Rs 1,575 crore, becoming a major cause of concern for the Public Works Department. The PWD has released Rs 1,244 crore so far. The project was conceptualised in 2004 and got the nod from the Delhi Cabinet in 2007. The first deadline was fixed ahead of the 2010 Commonwealth Games but it was revised to 2013. The project deadline was again pushed to June 2016 and then to July 2017, which was further pushed to December 2017. The 675m long and 35.2m wide bridge will be the first asymmetrical cable-stayed bridge in the country, which will connect Wazirabad across the river Yamuna. The bridge, once completed, will take vehicular pressure off the existing Wazirabad bridge. It will also connect the Outer Ring Road on the western bank of the river with Wazirabad Road on the eastern side.